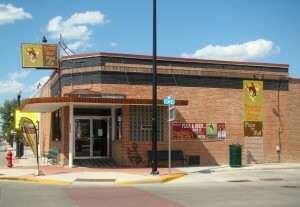 Prior to becoming one of Sheridan’s many popular restaurants, this location served as a grocery store. Emil Johnson was the 1st grocer to run his business out of this building, starting in the 1930s. Wilson Grocery moved in next until Bino’s Grocery opened in 1954. Bino’s became the go-to small hometown grocery store for a number of decades, until they closed their doors in 2010. After some renovations, Powder River Pizza re-opened the location’s doors and business, like their pizza, has been good.